In times of Industry 4.0, imos AG always keeps the focus on progress, continues to think innovations and invests in new technologies for furniture production. With the further development of the imos iX software solution, the so-called iXperience Center was created. This is a technology center in which different scenarios of furniture production can be presented. As part of the 25th anniversary celebrations, imos AG opens the iXperience Center and presents the first developed scenario: Kitchen production in the digital world. Today, Industry 4.0, digitalisation and social media present the furniture industry with challenges. imos AG has understood that there are different application profiles in different industries and regions and has set up corresponding scenarios for imos iX. Based on the concrete scenarios, the challenges can be mapped and analyzed. The investment in the new technology center is also an investment for the furniture industry. 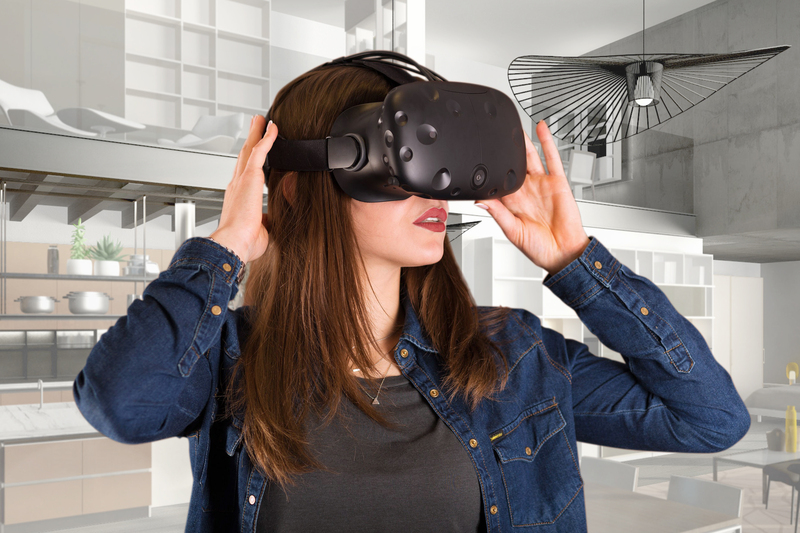 It creates a space for them in the digital world with a wide range of possibilities: The functional diversity of imos iX can be demonstrated together with AR/VR and different scenarios for furniture and interior design can be discussed. The iXperience Center is also a sign for the location in Herford, where imos AG will remain the hub despite international expansion. After all, East Westphalia is not only a centre, but also a formative innovation centre for the German furniture industry. imos AG was founded in 1993 by Dr. Frank Prekwinkel as a spin-off of the TU Braunschweig. From the focus of CNC programming of the at that time new generation of woodworking machines, a software developed which represented the essential processes in furniture and interior design: Design, rendering, construction, parts lists, calculation, production, assembly. With the launch of the internet-based presentation and ordering system imos NET in 2001, the imos functions were also transferred to the internet and CAD could be used online. The idea of selling furniture on the internet was initially unusual. But imos NET prevailed and has 80,000 users worldwide today. In 2003, Winfried Dell joined the company’s executive board and drove internationalization forward. imos AG invested in the global marketing of its products. Meanwhile, 45 partners worldwide support sales and service, imos is available in 82 countries and 27 languages. With the online platform iFurn, the supplier industry was integrated into imos processes in 2008 and a direct connection with the producers was established: The supplier data could be retrieved online in iFurn and processed directly in CAD. The catalogue data of the leading hardware and material manufacturers are available at iFurn. Networked production and Industry 4.0 came to the fore. As a result, imos AG developed new technologies to support the new visualization techniques with augmented and virtual reality for design and sales. Innovation, integration, exchange and connexion are the cornerstones from which imos iX emerged in 2017 as a future-oriented product solution with a new user interface and basic technology. imos iX covers the required processes and can be used in production, sales and in the cloud. The extensive application possibilities of imos iX open up completely new paths in the digital world and give rise to new ideas for designing, producing and marketing furniture. imos AG develops and distributes software for furniture and interior design worldwide. The CAD/CAM software combines the design of furniture and interior fittings, including fittings from furniture suppliers, into a continuous process from Internet-based space planning and order entry to calculation and control of current CNC machines.